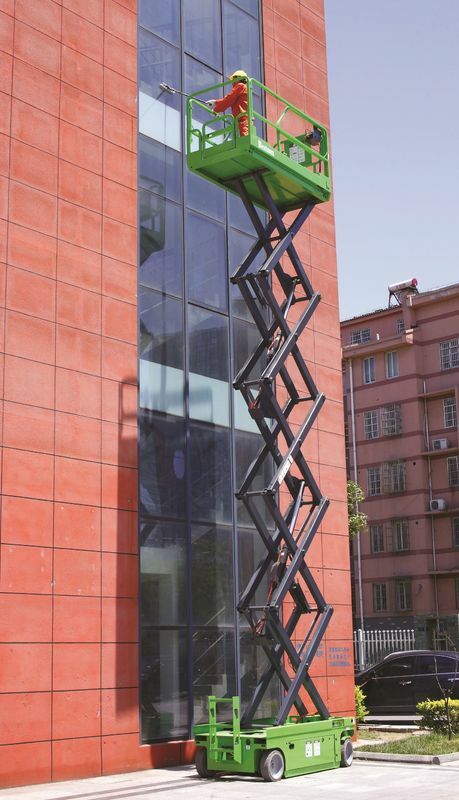 This machine is used to lift people to the high places to work with hydraulic motor driving. Unlike an articulating lift that offers a degree of horizontal outreach, electric scissor lifts are a flat platform that travels straight up and down. 1. The structure of this machine is made up of high strength rectangular Manganese steel. 2. When you stop pressing the button, it will stop lifting/ descending. 3. The platform surface is anti-skid to ensure the safety of the workers. Working Site: Library, Airport, Coach Station, Metro and Supermarket.